Hailing from Scotland, but currently residing in Canada, Tony has come to be recognised throughout the world as one of the leading guitarists in Celtic Music. While Tony is known as a soloist, his frequent collaborations with diverse musicians have always been a significant part of his work. Julia Toaspern is a multi-talented musician from Berlin who combines classical training on violin and voice with a wide interest in genres such as jazz, baroque and traditional music. She has released two albums of original songs and has performed in both classical and singer/songwriter modes on both sides of the Atlantic. On top of all this her skills as a guitarist are prodigious and make and exciting fit with Tony’s work. Their twin guitar treatment of traditional music is unique and each supports the other in exploring the harmonic possibilities of these old, and not so old, tunes. Each of the pair both flatpicks and fingerpicks at the highest level but always at the service of the tune rather than a display of technique. Her violin can effortlessly morph into a fiddle as she weaves from Italian madrigal to Scottish reel. Julia’s songs go to the heart of love and loss, hope and survival, and are inflected with musical input from a wide and eclectic experience of musical life. 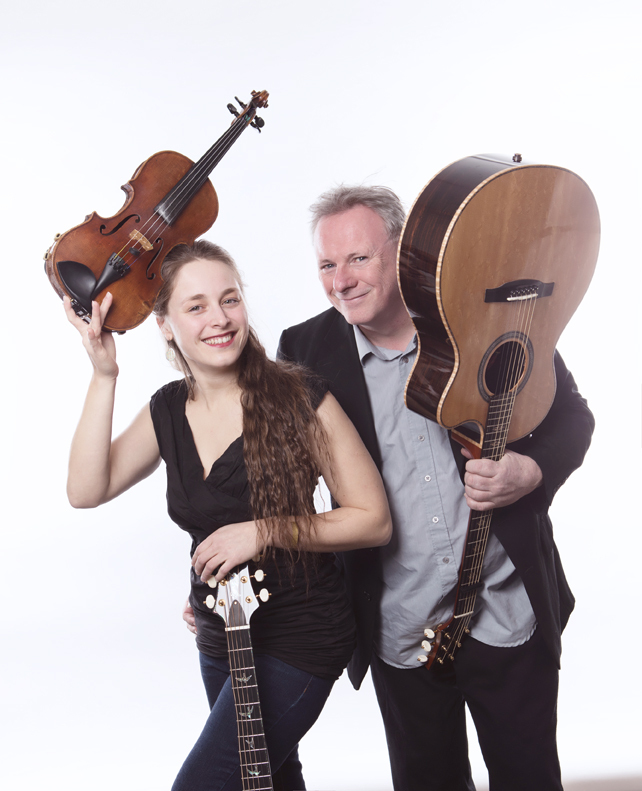 Together they will perform powerful interwoven guitar duets, sing traditional, classical and self-penned songs, a treat you to some soaring fiddle sets – everything always delivered with passion and commitment. "Tony McManus is the Jeff Beck of the acoustic guitar"